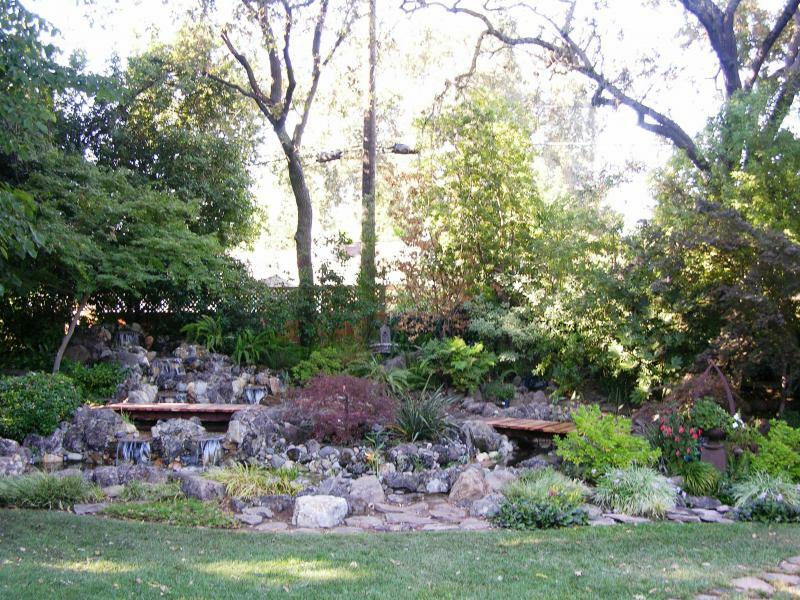 Larry Bender's Landscaping - Home of "bender built" ponds! Home of "bender built" ponds! Above is our largest project ever! Kaydon FallsThis was a rebuild project that took a 15'x100' liner. It holds 2300 gallons of water.To see video of it right after completion click here. Above: The Extreme Pondless -- very low maintenance! Below: OUR OWN DESIGN... A MINITURE ECO-SYSTEM! We are currently taking orders for these one-of-a-kind pieces of art that are a water feature on wheels! WHAT IS A "BENDER BUILT" POND & WATERFALL? 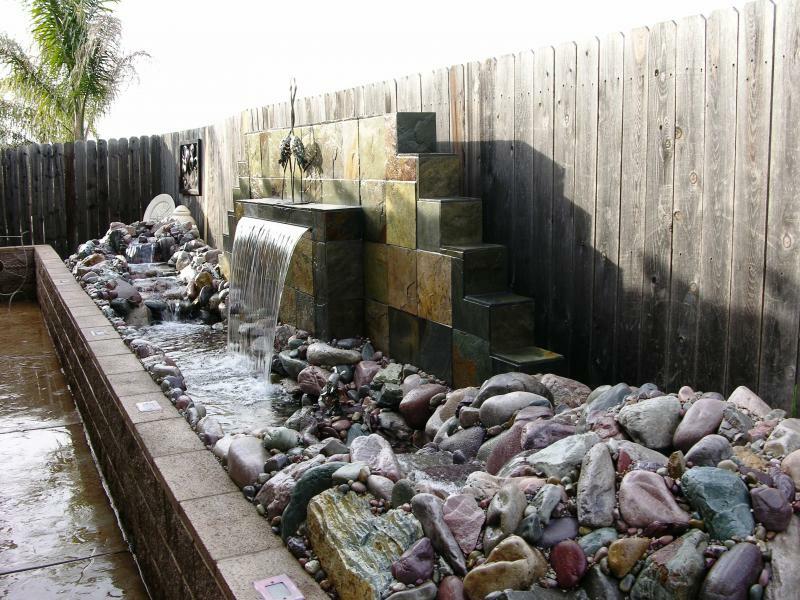 Larry Bender’s Landscaping designs and builds custom water features that are noticeably his own style. 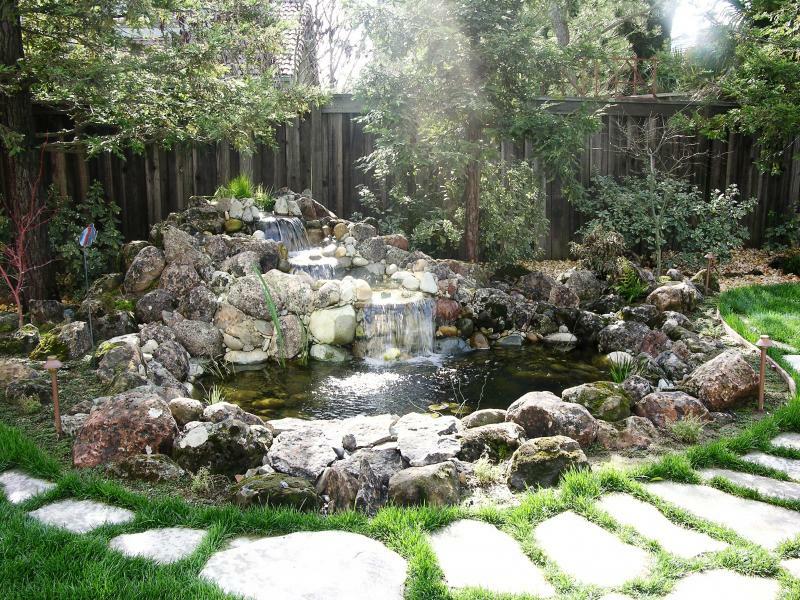 A “Bender Built” pond and waterfall will bring you a lifestyle change that caters to relaxation with low maintenance needs and the structural integrity that will last indefinitely. Lawn and garden run-off water will not soil your pond. Predator birds will not find an easy feast in your yard. Most importantly, you will not want to leave the paradise created by adding a natural habitat for fish and water plants and the soothing sounds of a waterfall to your personal retreat. cannot be done in only one day!" A Pleasant Place to call Home! 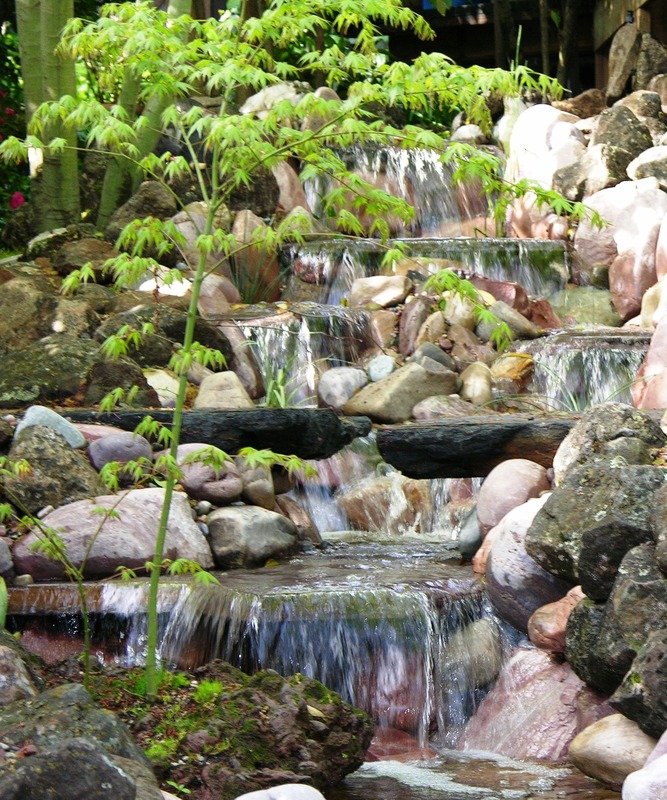 We build waterfalls, ponds, pondless waterfalls, rock gardens and water gardens that stay clean and clear and natural looking. We always build our water features with a structural integrity that is well above what "the other guys" build. Each design is what our customer wants NOT what we think they want. We try to replicate Mother Nature in all of our designs. Visable man-made parts is our biggest pet pieve. Who wants to see hoses, filters, liner, concrete, etc. when they are trying to enjoy their new and natural personal oasis? 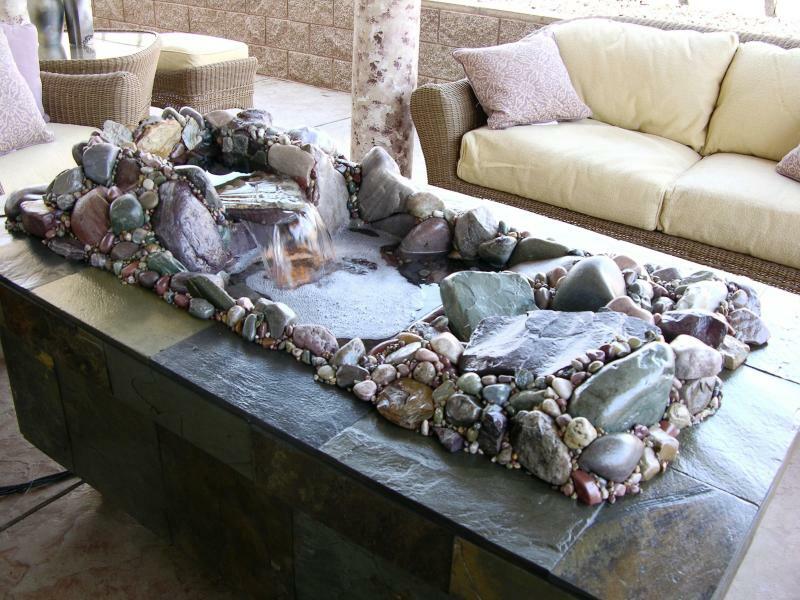 With a "Bender Built" water feature you will get more than what you expect. Ours is a labor of love, and we are very detail oriented! "Bender Built" ponds are built to stay looking beautiful for many years to come. Unblemished records with Contractor's Board & the Better Business Bureau. WE WARRANTY OUR WORKMANSHIP for as long as we can move the rocks! ...We specialize in water features! Sprinkler Systems--Automatic or Battery operated! Save water--instead of a drip system how about a misting system... save water AND have better coverage for your plants! "Living" retaining walls using Moss Rocks! We design & install water features year-round. 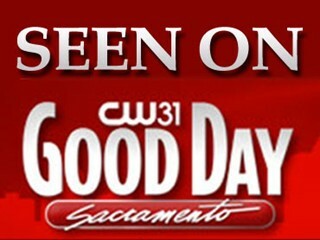 A family owned & operated company since 1993. Below is a picture of one of our favorites, it is 27' long with nine spillways down hill to a 3' deep pond with 3 dozen fish! This is the upper portion showing the "Split Falls" and a split-stone footbridge!